Much like the summer, my skin hates the winter. It gets tight, chapped and along with all that, my lips like to crack and bleed – hoorah. I also know i am not alone, so many people struggle with their skincare in the winter. This is the most important part of any skincare routine, especially in the winter. You need something heavy duty and something that will really give moisture back to your, cold and tight skin. It’s not too expensive and it’s really great at protecting your skin from harsh weather. This cream locks in moisture (supposedly) for 24 hours, which is fantastic. It’s gentle on your skin and it’s infused with ‘vitamin E and fruit water’. I found it really cheap on Amazon (Click Here For The EU and Here For The US) , but you can usually find it in most stores. Clinique Moisture Surge is well known at being amazing all year round, especially in the winter. It gives you instant hydration, softer skin and it even helps fight against fine lines and wrinkles. This pot of moisture is also aimed more at an older audenice whereas the previous moisture is more for younger skin, if I am honest i don’t believe in all of that marketing but if you do,just know the two are supposedly targeted at different age groups. Everyone compares it to ‘silk‘ and although a little more pricey, i personally feel like it’s the better face cream. However, if you are on a budget or just need something quick and easy – the one above is great too. I found the Clinique cream at the best price online, you can check it out by clicking here if you are in the EU or clicking here if you are in the US (although you can find it in most shops!). Keeping my lips un-chapped and rosy looking is so difficult in the winter, i literally wake up in pain from my lips feeling so chapped and sore. Scrubs seem to make them worse and so I have done a ton of research and found the best lip protectors/balms whatever you want to call them, to help your lips survive the winter months that await us. This lip balm is probably the most popular Burt’s Bees lip balm, it’s the ‘hydrating’ formula which means it is perfect for the winter and summer months. It’s easy to keep in your pocket or purse and it just leaves your lips nourished and smelling amazing. Everyone swears by it. I did find it for a great price by clicking here if you are in the EU or here if you are in the US. However, I do recommend going on to Amazon and checking out their value packs as they are better value sometimes than buying just a single lip balm alone. This lip balm instantly repairs and protects your lips from harsh weather and environment. It doesn’t only restore your lips it also helps combat fine lines around the lip area. This Laura Mercier lip balm nourishes, protects, repairs and fights. You can find this lip balm in most stores but i did find it for a great price online, you can check it out by clicking here if you are in the EU or here if you are in the US. This miracle jar literally works magic on dry, flaky skin. 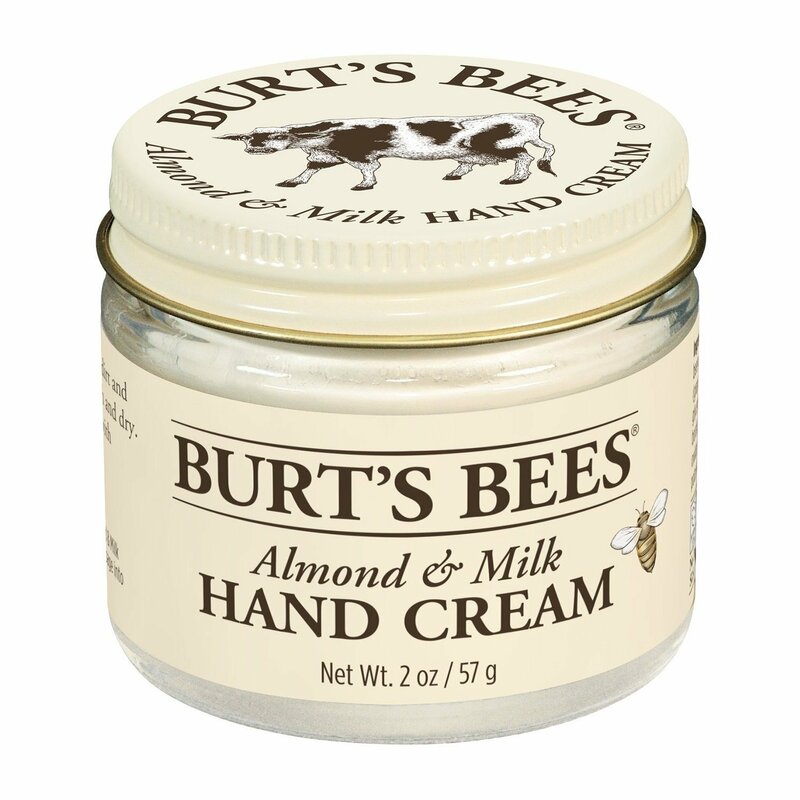 There are so many people out there who suffered from seriously itchy, dry hands who cannot swear by this stuff enough. It’s rich, creamy and seriously moisturizing. It’s also not really that pricey, it’s a lot cheaper online than in stores (I have no idea why) but i feel like it could be a lot more expensive and people would still buy it! I found it at a really good price that you can check out here if you are in the EU or here if you are in the US. Elizabeth Arden is known for her skincare, her 8 hour creams and treatments have made their way in to most homes at one time or another. I know so many people that cannot get enough of her 8 hour face cream and so i had to include her hand cream. This hand cream is meant to soothe and nourish weather exposed skin. Perfect for hands that crack and bleed, flake and itch, this hand cream will see you right. Best Price online in the EU or Best Price In The US. Next Story → What About Us Girls That Aren’t Very Good At Makeup? Love this – My skin needs serious help during the cold winter months lol.